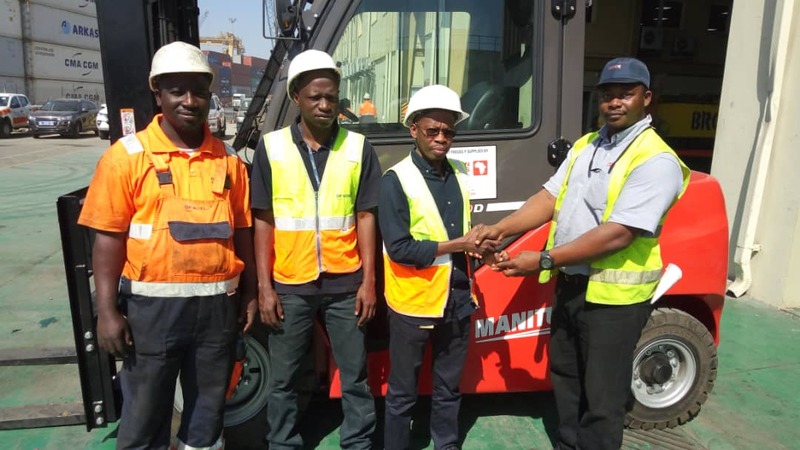 We’ve had a busy 5 months, and as usual many reachstacker and forklift deliveries across the region successfully commissioned, including Mauritania and Senegal. Paterson Simons has had a long relationship with APMT Mauritania in Nouakchott having commissioned and supplied three Konecranes SMV4531TB5 reachstackers 10 years ago with two further additions in recent years. 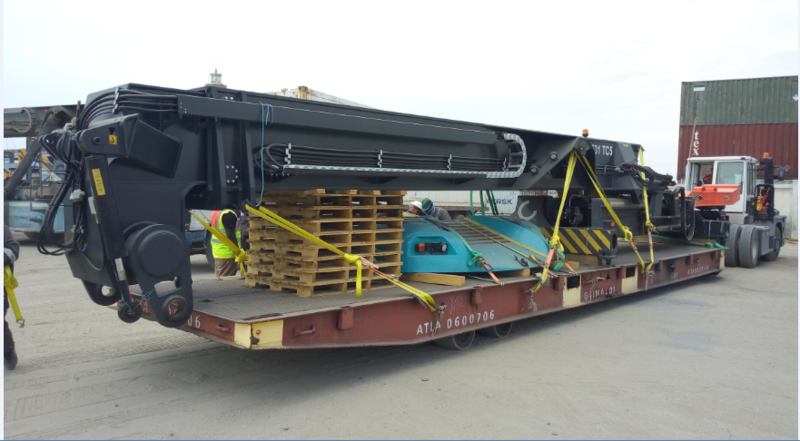 Boom and spreader being delivered to APMT ready for commissioning. 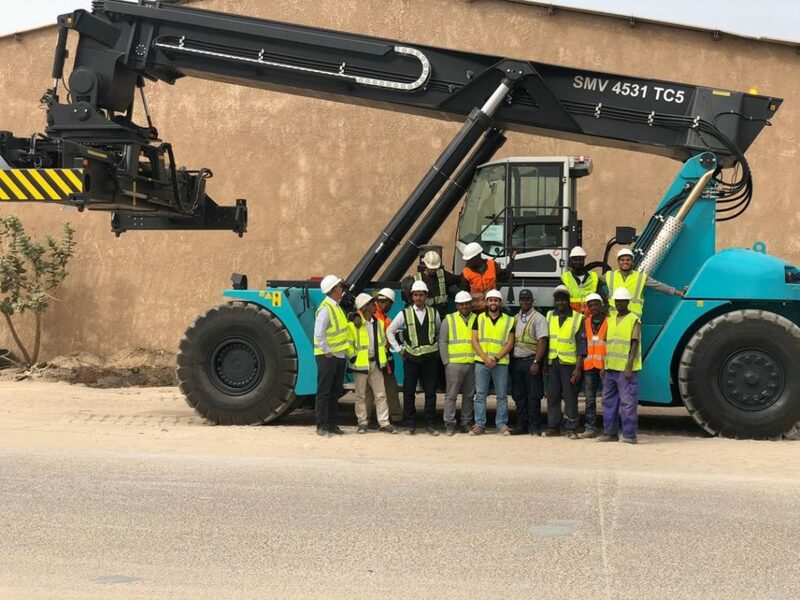 For our first deliveries to the new APMT Mauritania Nouabhidou in the North of the country the terminal opted for the lower cost SMV4531TBE5 model reachstackers. With tight requirements for delivery we were able to have our team greet the three machines as they emerged from customs to enable them to be assembled and commissioned as soon as possible so that they could get to work. 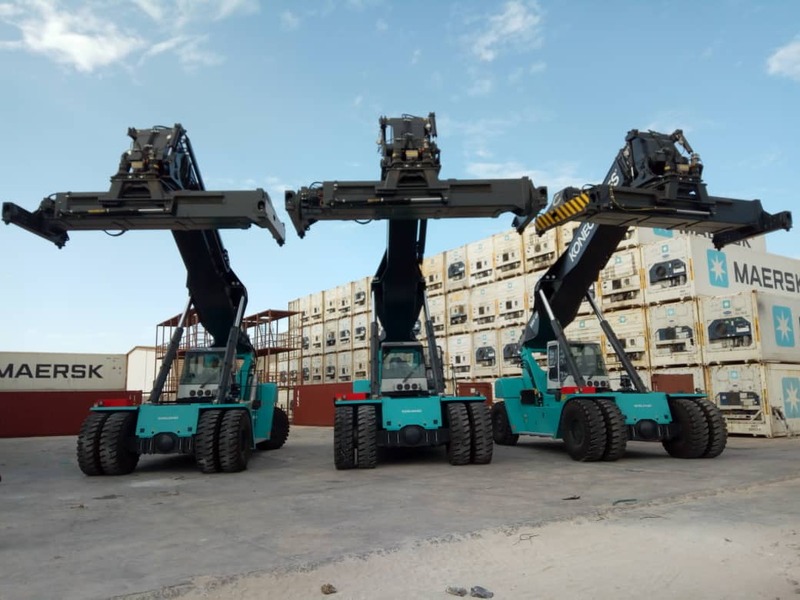 Three Konecranes SMV4531TBE5 Reachstackers delivered 18 October, 2018 to APMT, Mauritania. Engineers: Håkan Aronson & James Davidson. 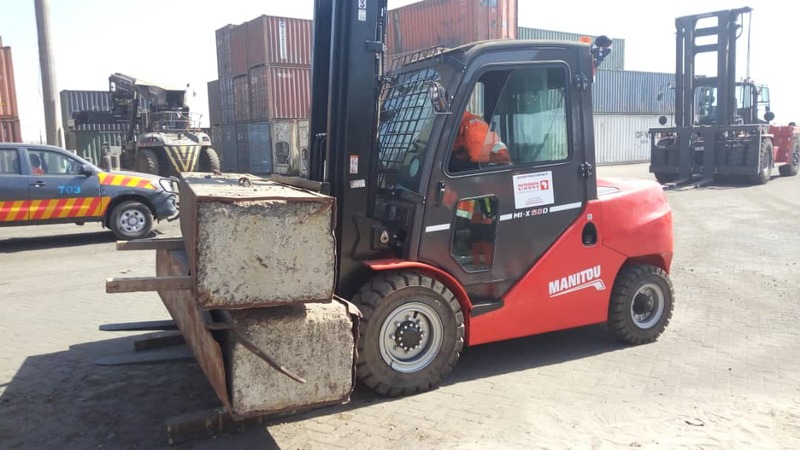 Given Paterson Simons’s long history with the terminal (it runs Konecranes RTGs, Reachstackers, Empty Container Handlers and 16 tonne forklifts) it was natural that service support would be a factor when the terminal was looking to acquire a small forklift. The competitively priced 5 tonne Manitou was supplied with a 6 meter triplex mast, full cab with air conditioning and LED lighting.